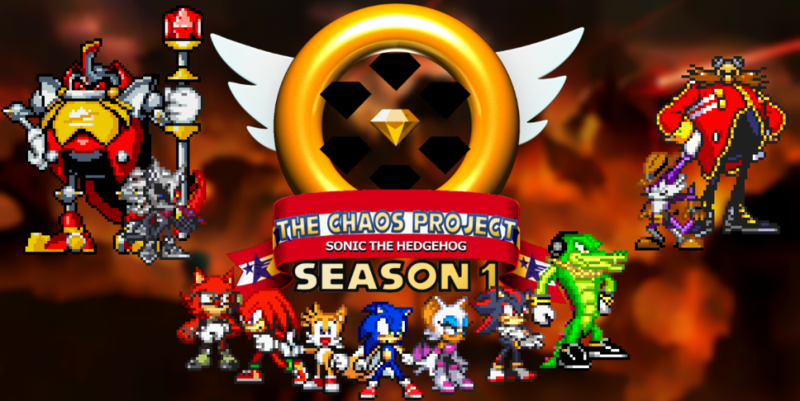 I rather enjoyed writing the opinion piece on Project Sonic 2017, so I thought that I would do another one, this time on the other game announced at the same event. Once again, watch the below trailer first if you haven’t already. This paragraph is mostly a rant, so skip to the bottom if you want to get to actual discussion about the game. Since I started the last one with a thank you to developers for including Nintendo, I’m afraid that I’m going to have to start here by expressing my strong disapproval at this game’s nonexistence for any Nintendo platform. I don’t necessarily have any outright dislike towards X-Box or Playstation. In fact, I still own my old PS2 slim, the console on which I first started playing Sonic games with Sonic Mega Collection Plus. But as a not-particularly-wealthy gamer, I don’t have the luxury of simply getting every gaming technology available in the world. I had to make a choice between the primarily M-rated market of X-Box and Playstation, or the primarily family-oriented market of Nintendo. I chose Nintendo. It is my honest belief that Sonic as a series fits far more homogeneously with Mario, Zelda, and Animal Crossing than it ever could with Halo, Call of Duty, and Grand Theft Auto. That being said, I still think that it’s unfair to Sonic fans to put Sonic games exclusively on Nintendo systems. What they did with Sonic Heroes and Shadow the Hedgehog, I believe, is by far the best option, developing games which can play exactly the same no matter what system you own. Sonic Unleashed was also adequate, but it is unfortunate that some players (such as myself, who got the cheaper PS2 version) had to settle for non-optimal versions of the game. Anyways, what seems likely to me is that the slew of third-party developers which worked on Sonic Mania simply had a bias against Nintendo, as most third-party developers do. I find it hard to believe that a game meant to play exactly like games for the SEGA Genesis could possibly be unable to be handled by a Nintendo handheld, let alone the Wii U. In short, when it comes to platforms of release, Project Sonic did it right, Sonic Mania did it wrong. That’s the kind of effort that I’m talking about. That’s the kind of effort that I felt was missing from the second half of the new level. One of the wonderful things about the real Green Hill Zone is that it gives off the feeling that, in some perfect world, it is a place that could somehow really exist. That feeling is completely shattered when that spring at the middle of the level suddenly bounces you up to a huge land mass that’s just kind of chilling up there in the sky, not supported by any sort of cliff like the real level does for its highest areas. Of course, there are floating platforms in the original, but they are tiny and add to the magical feel of the place. But this particular breach of physics serves only to shatter the illusion that this is a reality which is only just out of reach. End Cluck Alert…uh, I mean, rant alert. As for the rest of the level design, it felt like it probably would have been more homogeneous in Sonic 2 than in the original, but I suppose that that much is excusable. It does, after all, have that faster-paced feel that the original Sonic the Hedgehog was a little bit lacking in, all things considered. Next up, the music. I was really expecting something that sounded like it might have come right out of the Genesis, I was looking for a few of my most nostalgic instruments in particular. Instead the music is a little more reminiscent of Sonic CD, sort of classic-sounding in the way that it’s composed, but with no actual recognizable sound quality limitations. Below is an example, the Studiopolis theme. It’s a pretty good theme all around, but apparently I’m not as impressed as most of the vocal Sonic community, and once again, I would have rather it had Genesis sound quality to match the graphics. Last to discuss is the entire idea of the game as a whole. I’m going to be frank here. As I’m sure you can tell, if nothing else than by the banner of this very website, I do have a thing for sprites. I find them to be quite charming, and it’s very interesting to see how much expression can be packed into so few pixels. But above all else, they are easy. Infinitely easier than full-quality artwork, at least in my opinion from my experience. And that’s why I’ve always had trouble accepting modern games which purposefully use sprites. It makes me feel like they’re being lazy, not doing as much work as they possibly could to make the game look good and professional. But that’s what makes this so weird. Sonic already tried to go back to a classic feel without sprites, in the form of Sonic the Hedgehog 4. And for some reason that I fail to comprehend, those games were apparently a failure (though I wouldn’t be surprised if part of the reason were that Episode 2 never came to a Nintendo system *cough* looking at you Mania *cough*). I felt that Sonic 4 was a great way to satisfy the Sonicwunners (to borrow a term from Pokémon players in reference to Genwunners who only like the original games) who demanded that Sonic be in 2D. As we’ve been seeing in the past few Sonic games, when those people aren’t satisfied by spin-offs, their needs instead infiltrate the games that would otherwise be entirely in 3D like many other fans (like myself) want. Anyways, I enjoyed Sonic 4, and I’m sad that Episode 3 (& Knuckles?) will never come. But, back on topic, I understand that if Sonic 4 won’t do it, this is the only way to keep die-hard fans of the classics happy. In short, the sprites, just because they’re easier to do, aren’t necessarily done out of laziness, but out of necessity. Final Conclusions: some people think that Sonic needs a game that can restore him to his “former glory,” and this could be it. It’s not the ideal game for me, but it very well could be for others. If any Sonic game could ever be out of my playable reach, I suppose that I’m good with it being this one. Of course I would rather play it than forever go without playing it, but then, I feel the same way about Sonic 06. If this game is what it takes to keep everyone happy, then I shall embrace it with open arms. – And until next time, you too should open your arms, and open your heart! Edit: Direct encoding of videos, a few typo fixes, and the addition of a missing tag. This entry was posted in Opinion Piece and tagged Green Hill Zone, Knuckles the Echidna, Nintendo, Pokémon Series, SEGA Genesis (Mega Drive), Shadow the Hedgehog (2005), Sonic & Knuckles, Sonic CD, Sonic Forces, Sonic Heroes, Sonic Mania, Sonic Mega Collection Plus, Sonic Spinball, Sonic the Hedgehog (1991), Sonic the Hedgehog (2006), Sonic the Hedgehog 2, Sonic the Hedgehog 4, Sonic Unleashed, Sonic's Anniversary, Sony and Microsoft, Super Mario Series, The History of Sonic the Hedgehog (Book) by Chaos Project. Bookmark the permalink.